Any meaningful research undertaking, aiming to cover a region as large and complex as the Balkans, has to be able to rely on a solid network of relevant professionals and institutions, both from the region as well as from outside it. Considering the leading role and relative stability of universities, esp. their law faculties, throughout the region, and the strong European tradition of institutionalizing criminology at, or closely connected to, criminal law sciences at law faculties (Getoš 2009), it makes sense to focus on exactly these institutions in the creation of a ‘Balkan Criminology’ Network. However, since the majority of Balkan states during Communism also closely merged criminology with ciminalistics and criminal justice, commonly at faculties for criminalistic sciences or police academies, a ‘Balkan Criminology’ Network must include these institutions as well, esp. in light of the marginal position and extinction tendency of criminology at law faculties. 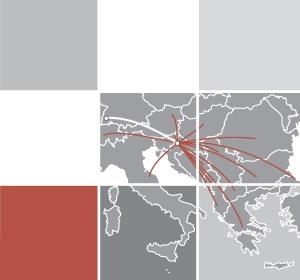 The aim of the ‘Balkan Criminology’ Network is to interconnect the relevant players on a long-term basis, outliving the usual life time of single research projects and similar short-term collaborations (e.g. HUMSEC). Regularly an enormous effort is put into the creation and development of such short-term networks, but when the project, resp. its funding runs out, these ad hoc networks simply disappear. The ‘Balkan Criminology’ Network, on the other hand, should become a recognizable and long-termed network of professionals and institutions, with continuous exchange of knowledge (e.g. through teaching‘Balkan Criminology’ Courses), and expert gatherings (e.g. through thematic ‘Balkan Criminology’ Conferences) – this is something still missing in the criminological landscape of the Balkans, as a close analysis of the research setting in the Balkans reveals (Albrecht & Getoš): The overwhelming majority of criminologically relevant research on issues such as for example organized crime and political violence in the Balkans is still being conducted by various research institutions, governmental agencies and NGOs from outside the region. At the same time domestic researchers usually rather focus on foreign and international trends in these areas, than to work on domestic and regional issues. This creates a strange situation, in which researches from outside the Balkans often seem to know more about it, than the researchers actually living and working there. Such a tendency inherits a number of risks concerning the research outcome. Besides the usual lack of local language proficiency, and differences in mentality, researchers from outside the Balkans almost inevitably have to rely solemnly on second-hand data (most commonly press clipping). Furthermore, effective ways of dealing with organized crime are dependent on local knowledge and the particulars coming with organized crime in a specific location (Rehn). Same applies for other crime phenomena. To give just one example for the current research situation in the Balkans in the field of criminal law and criminology (Albrecht & Getoš): Traditionally criminal law professors from law faculties throughout Former Yugoslavia would regularly meet at so called interdepartmental meetings. The last of such meetings was held in 1989 in Skopje/Macedonia, but in the following 20 years the contacts were lost and new generations of researchers from the newly established states meet rarely and only by chance. Similar to resentments in day-to-day relationships amongst people, grounded in past conflicts and hostilities, research attempts trying to somehow establish new networks need time and patience. Still, the loss of research potential obviously remains enormous. Therefore it is one of the major goals of Balkan Criminology to create and host a network of experts in the field of criminology and criminal justice focused on the Balkans. The “Balkan Criminology Network” will be the basis for regional research endeavours, exchange of experience and knowledge, gathering of regional expertise, and should in the long run also ensure a pool of prospective junior researchers to be hired across the region. In this respect the “Balkan Criminology Network” held its first workshop meeting at the Zagreb Faculty of Law during the Presentation of the Max Planck Partner Group for ‘Balkan Criminology’ . The experts from the region (Slovenia, Hungary, Croatia, Bosnia and Herzegovina, Bulgaria, Romania, Serbia, Kosovo, Montenegro, Macedonia, Greece, Albania and Turkey) all agreed upon the need to form a network and to strengthen a Balkan-oriented regional approach in criminological research and education.